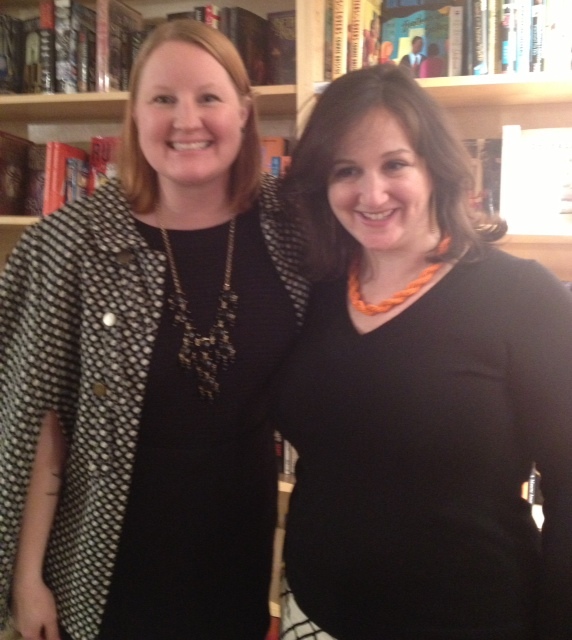 Last weekend, I got to meet Deb Perelman, creator of the infamous Smitten Kitchen blog. Along with several other St. Louis food bloggers, I was invited to sit down and chat with Deb for an hour before a signing at a local bookstore. She was, to my delight, very down-to-earth and very awesome. Deb talked about her process for writing a cookbook and asked us about our own blogs. I was pretty giddy most of the hour as I sat there thinking "I like her!" Sure, her blog is beyond great...but I've met a few "famous" food bloggers and was disappointed to discover they were snobby and kind of bitchy. NOT DEB! She really is the kind of person you want to be friends with. And despite her blogging success, she really is just like us...someone who loves cooking and tinkering around in the kitchen. I took her new cookbook home, read it cover to cover that weekend, and make a long list of recipes I'd like to try. I do this with most cookbooks that I buy and usually end up with a dozen or so recipes on my list. For Deb's book, I listed over 40 recipes I want to make...several of which I starred to try very soon! The first recipe I made was her maple granola, because I've never made granola before. It's easy to do...just mix everything in a bowl, spread it on a cookie sheet, and bake! This recipe is loaded with oats, walnuts, coconut, & dried cherries and flavored with maple & cinnamon. * I used milled flax seed instead. You can also substitute wheat bran. Combine all ingredients but the egg white and dried fruit in a large bowl, tossing to coat evenly. Whisk the egg white in a small bowl until frothy. Stir into granola mixture, distributing it throughout. Spread mixture in a single layer on a parchment-lined baking sheet (or line with a silicone mat). Bake for 45-55 minutes. About halfway through the baking time, use a large spatula to turn over sections of the granola carefully, breaking them up a little as possible. Rotate the pan if the granola is baking unevenly. When it is evenly browned and feels dry to the touch, transfer the pan from the oven to a cooling rack. Coll completely. Break up into clusters and sprinkle in fruit. 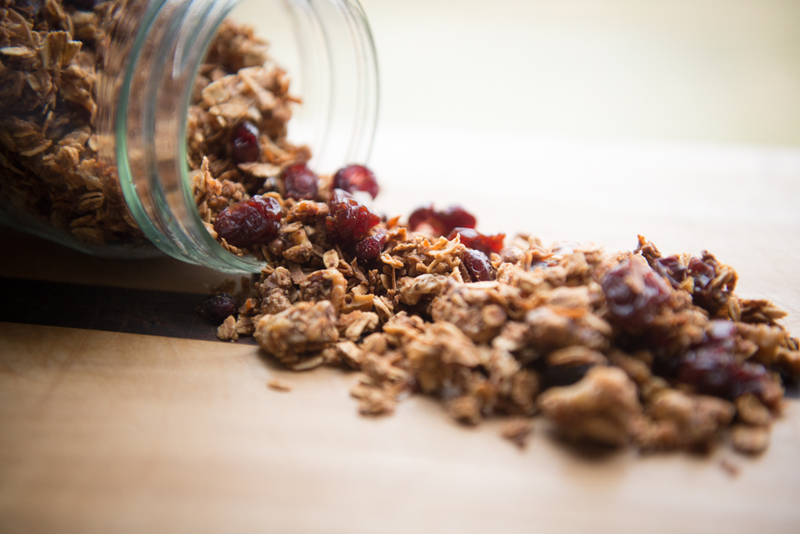 The granola keeps at room temperature in an airtight container for 2 weeks.